Talk of an ancient artifact with dark connections to the Force brings adventurers face-to-face with a terrifying mercenary and her double-bladed lightsaber in Ghosts of Dathomir, an adventure module coming soon to Star Wars™: Force and Destiny™. Her name is Jerserra. She is as mysterious as she is feared, and her search for the artifact, a statue named Tragic Hope, has already left a trail of bodies in its wake. Ghosts of Dathomir will launch you deep into the Mid and Outer Rim planets, leaving you to navigate cities dominated by Hutt influence and planets that pulse with a sinister life. Fear may very well save your life on the streets of Toydaria or the swamps of Dathomir, but you will need to overcome it in order to face Jerserra and come out alive. Today's preview offers a glimpse behind the mask of Jerserra, that you might know your enemy before facing her in combat. There is something about the double-bladed lightsaber of the Inquisitorius that commands respect, that conveys a sense of power to all who see it. Few living have even heard of the Inquisitorius and their dark crusade, but few can deny that something had carved a legacy of fear across the stars. As for Jerserra, no one, not even the ISB agents who have been chasing her for years, know where or how she came to possess such a weapon, nor the skills with which to use it so well. 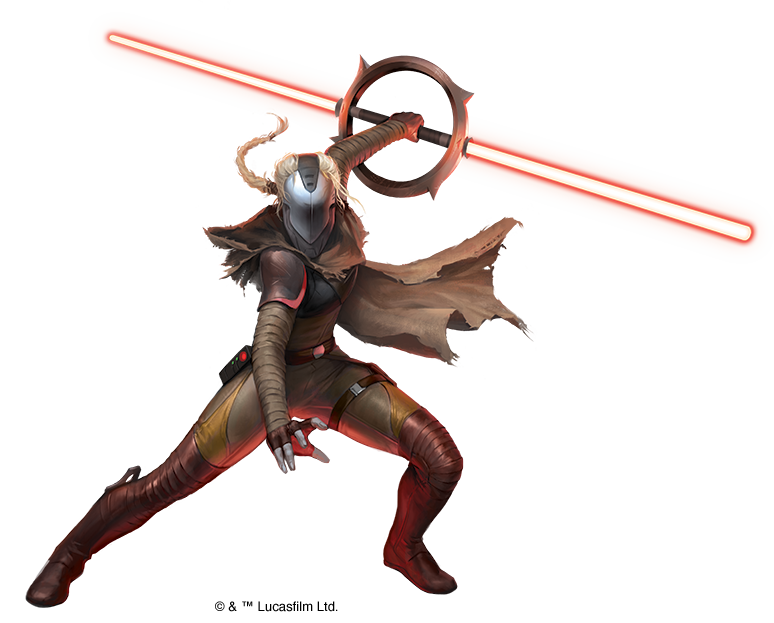 Though deadly, you will discover that Jerserra's lightsaber is as much symbol for her ever-growing thirst for power as it is a weapon. A meticulously crafted network of loyal followers and hired guns has given her a hand in virtually all illicit activities on the fringe planets, focusing primarily on smuggling, arms-for-hire, and assassination operations. 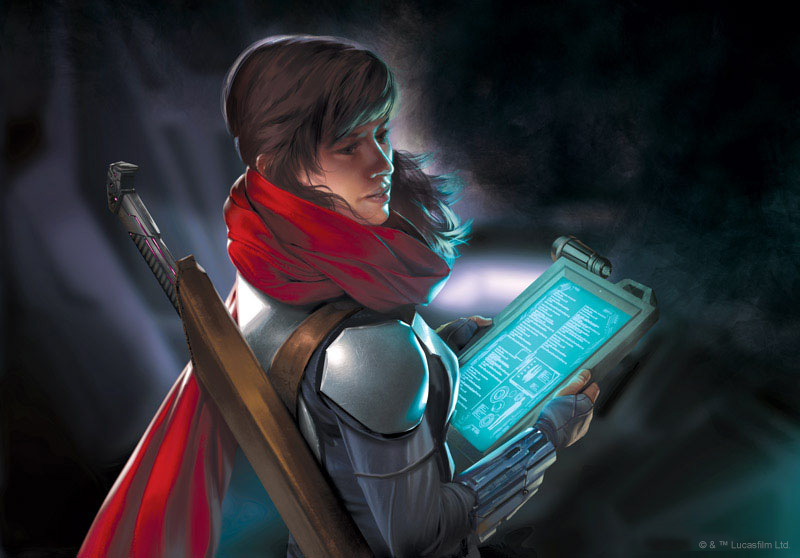 Though she has taken action against agents of the Empire, Jerserra has claimed no ties to the Alliance, instead carving her own bloody path through the galaxy, eliminating all in her way. Jerserra has unique methods for harnessing the powers of the Force, the likes of which you have never seen. When coupled with her insatiable hunger for power and the ominous ruby glow of her lightsaber blades, the dark side of the Force is sure to haunt your search for Tragic Hope from Toydaria to Dathomir. The origins of Tragic Hope are known to a select few, but you can rest assured that if Jerserra is after it, there must be some truth to its ties to the Force. The dread world of Dathomir is wrapped in mystery, located only on outdated and classified star charts and rumored to have once harbored a sect of unconventional Force users known as the Nightsisters. That your adventure will lead to such a desolate place should be all the indication you need of the dangers of such a powerful artifact falling into the wrong hands. Should Jerserra gain control of the statue, she may unearth unspeakable powers and tighten her grasp over the underworld of the Mid and Outer Rim planets. Stopping her will not only help stabilize the planets she terrorizes, it may endear your party to the Hutts seeking their kidnapped items dealer, expand your knowledge of the Force in surprising and potent ways, and leave you in control of a powerful artifact. Jerserra is a fierce mercenary with techniques that will challenge your understanding of the Force and those who wield it. Track Tragic Hope from Toydaria to Dathomir and survive any encounters with her to learn secrets of the Force that have been buried since the Clone Wars. You may even leave Ghosts of Dathomir with a new Force power in your arsenal. 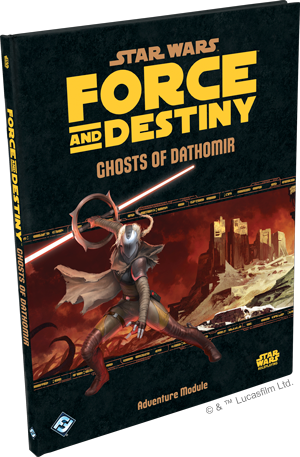 Start your quest for Jerserra and Tragic Hope by pre-ordering Ghosts of Dathomir today from your friendly local game store.